Just one season of high school football increases the risks of brain injury. You have probably already heard about the correlation between contact sports and brain injury, but perhaps you didn’t quite realize just how strong this correlation is. A study by Dr. Joseph Maldijan from UT Southwestern showed that one season of high school football alone was enough to cause physiological changes in the brain. In the study, two small groups of high school football players were monitored over the course of a season. Their helmets were equipped with sensors which could measure the number and level of impacts to the head. Moreover all players were given preseason brain MRI scans and cognitive testing and then received the same testing postseason. This, combined with Diffusional Kurtosis Imaging (DKI), revealed physiological and functional differences in preseason and postseason results. “All this data is pointing to the same thing — that is that one season of football has an effect on the brain”. Said Dr. Maldijan about the study. As a sport with one of the highest levels of contact (including contact to the head), science is showing how such sports can contribute to brain injury. Fortunately, catastrophic brain injuries are relatively rare, even in football; however, they do sometimes occur. Unfortunately, the correlation between football and brain injuries is not a new one, which is why the NFL set up the NFL Head, Neck, and Spine Committee in the 1990s. The Committee is focused on the neurological health of players and aims to reduce the incidence. And severity of brain (as well as neck and spine) injuries in the sport. Brain injury rehab – what treatment options are available for brain injuries? It is important to realize, catastrophic brain injuries are rare. But when they happen, what brain injury rehab programs are available? 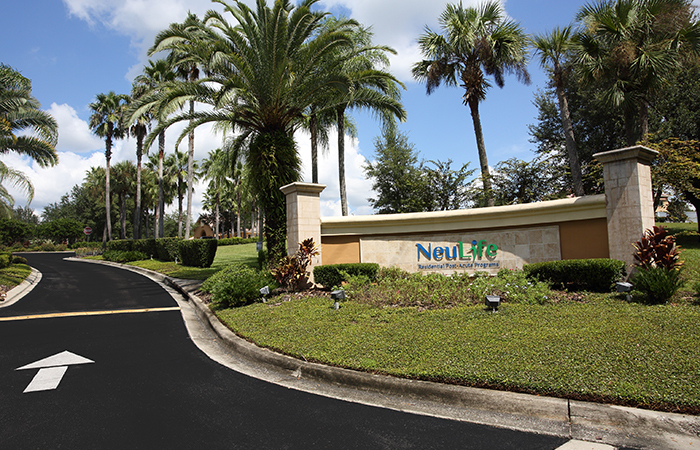 NeuLife Rehab is a provider of brain injury rehab programs at our brain injury facility in Florida and is experienced in providing the necessary treatment programs and care to rehabilitate patients who have suffered a brain injury. As an illustration the brain injury facility, situated on 43 rolling acres, has 54 private patient suites. Also a whole range of amenities available for brain injury patients, depending on their specific needs. Must be remembered that these include a full-service kitchen, fully equipped therapy rooms, an outdoor working garden, skills retraining laundry room, on-site equine therapy and many other amenities. In terms of the brain injury rehab program itself. To explain it is administered by a multi-specialty staff, including physicians, physiotherapists, occupational therapists, dieticians, nurse case managers. In the same way psychologists, among others, depending on the individualized needs and circumstances on the brain injured patient. NeuLife Rehabilitation is one of the largest residential post-acute rehabilitation facilities in the Southeast with specialized residential rehabilitation programs for a wide range of catastrophic injuries. We are accredited by the Commission on Accreditation of Rehabilitation Facilities (CARF) in Brain Injury Rehab Programs and Residential Rehabilitation. Where can I get more information about brain injury rehabilitation programs? To point out read more about NeuLife’s brain injury rehabilitation program in Florida, or call NeuLife today at 800.626.3876. Next PostCheerleaders and catastrophic injuries. Is cheerleading the most dangerous female sport?